Mayawati predicted that the centre’s Pradhan Mantri Kisan Samman Nidhi (PM-KISAN) would be a “failure”. A day after Prime Minister Narendra Modi’s holy dip at the Kumbh Mela in Uttar Pradesh’s Prayagraj, followed by his gesture of washing the feet of sanitation workers, Mayawati scoffed in tweets that a “Shahi dip (Snan)” wouldn’t help the Prime Minister in “washing sins” of his government’s actions. “Will a ‘SHAHI’ dip in Sangam by PM Modi be able to wash sins of reneging poll promises, treachery and other state wrongs? Not possible for people to forgive BJP easily for making their life miserable through deeds of Notebandi, GST, vengeance, casteism, communal and authoritarian rule,” said the former Uttar Pradesh chief minister. 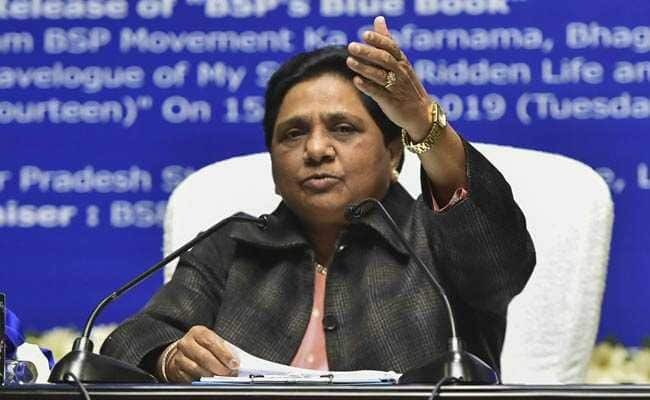 Mayawati, a Dalit powerhouse, has reason to be rattled, said leaders of PM Modi’s BJP. The Prime Minister’s gesture on Sunday revolved around one of the most underprivileged communities of India; sanitation workers are seen to be the lowest rung of society and still face discrimination in parts of India. Ahead of the national election, the image of PM Modi washing the feet of five sanitation workers at the Kumbh – he called them karmyogis – is bound to please the Dalits, a community that has been upset with the BJP over the past few years over the Koregaon Bhima incident and alleged atrocities. 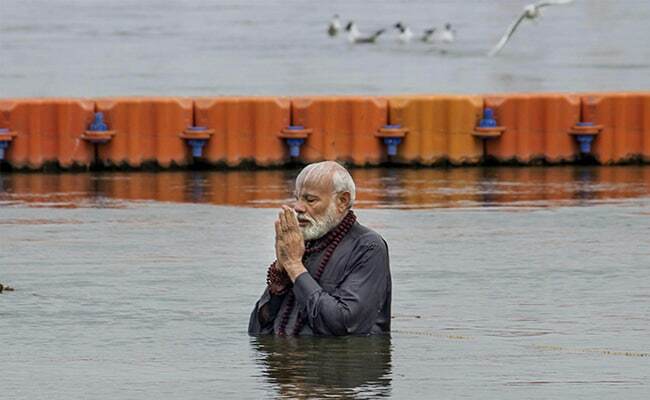 PM Modi yesterday visited the Kumbh Mela and took a holy dip in the Ganga. Mayawati also predicted that the centre’s Pradhan Mantri Kisan Samman Nidhi (PM-KISAN)would be a “failure”. “Modi government should differentiate between farmers and landless labourers, His Kisan Samman Nidhi scheme of Rs. 500 per month may be useful for labourers but not helpful for farmers who wants remunerative price of their produce which BJP government has failed to ensure. This is a failure,” she tweeted. The PM-KISAN scheme, announced in the interim Budget, seeks to provide Rs. 6,000 a year to small and marginal farmers who own upto two hectares of land. The amount will be given in three instalments of Rs. 2,000 each.